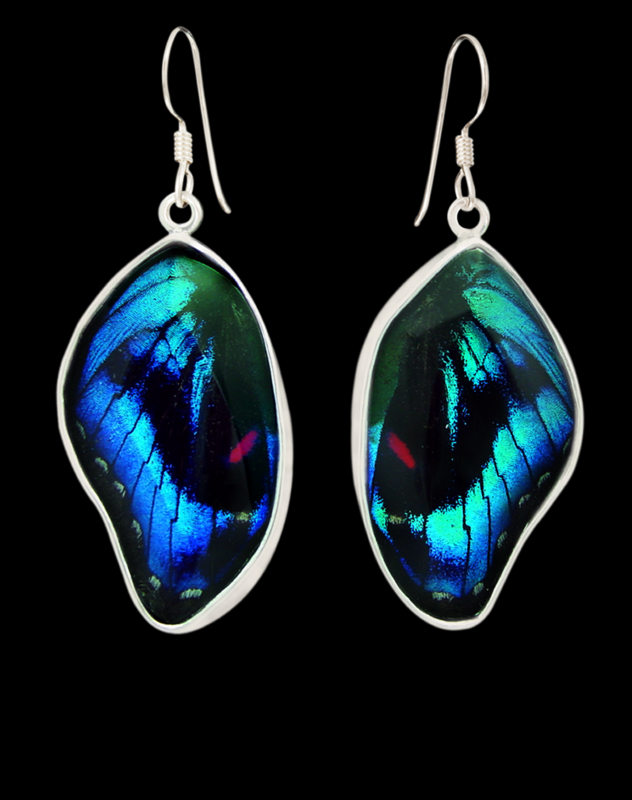 These petite earrings are made from genuine Ancylurus Eudaemon butterfly wings, set under hand cut clear beveled glass. Entire setting made of sterling silver. Genus and species engraved on reverse. Earrings hang from sterling french wires.